The Scola Family for a long time have given hospitality and would like to propose a new style of holiday – a vast number of apartments and villas with different characteristics which can satisfy your greatest needs, guaranteeing maximum privacy and comfort. The Scola family propose 'Residence Diffuso' which means structures spread out in different parts of the locality, offering a good holiday,as well as allowing you to live as a local, in villages near historical centres and in particular within the local artistic culture. 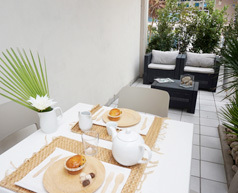 The "Residence Diffuso" was born to offer this open atmosphere, but living like the locals, even though temporarily, places which help you to enjoy life. 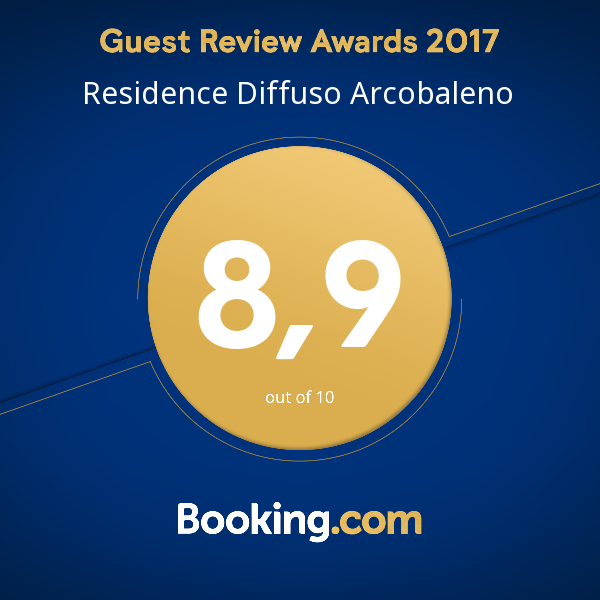 The accommodation of "Residence Diffuso Arcobaleno" and real houses, not built for tourism, and all the other services offered, the same as you would find in hotels, given by professionals, as well as a bit of the local touch. 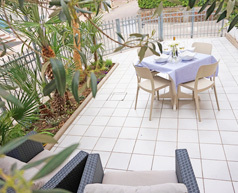 We offer new apartments realised in Grade A to guarantee warmth in the winter and cool in the summer months. The apartments offer brightness and living conditions are excellent, well finished and well furnished, bright, beautiful and versatile. Thorough care has gone into the design and the key word has been design and elevation of the pure Made in Italy style. The 'Residence Diffuso' Arcobaleno s.a.s. 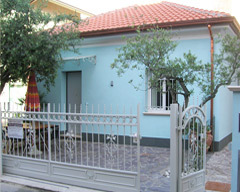 is situated in the historical centre of Gabicce. 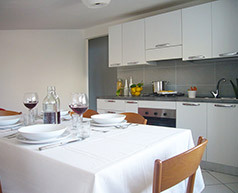 The accommodation is situated centrally, near the sea, local shops (supermarkets, grocers, chemists, newsagents, etc.) 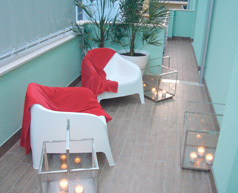 and within the pedestrian area; full of light, beautiful, fluid and versatile use of space. 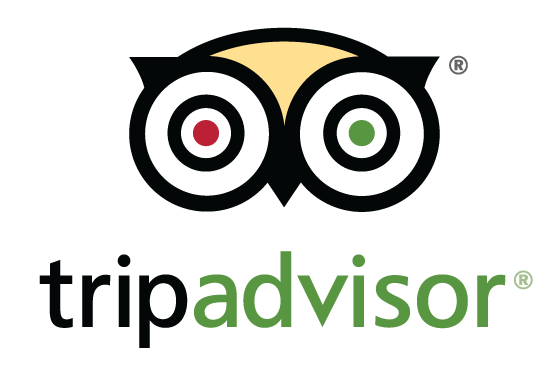 Offering a more complete service the 'Residence Diffuso Arcobaleno' offer a different All-inclusive service such as accommodation with bed-linen, beach service (umbrellas and sun-beds) and beauty centre. 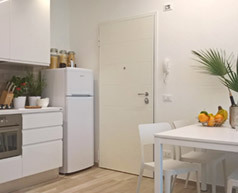 The duration of your holiday in our villas and apartments can vary depending on requirements, weekend, fortnightly, monthly and even during the winter period. 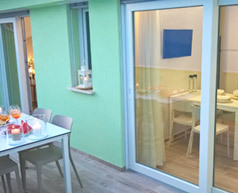 The new way to live your holiday is at the "Residence Diffuso Arcobaleno" in Gabicce Mare. For the professionalism and experience of the staff, high quality service, highlighting the characteristic hospitality proposed by the Scola Family, since 1900.